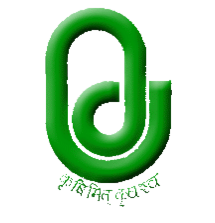 Saradarkrishinagar Dantiwada Agricultural University (SDAU) has published Advertisement for below mentioned Posts 2018. Other details like age limit, educational qualification, selection process, application fee and how to apply are given below. A Walk-in-Interview for the posts of Senior Research Fellow on contractual base under plan scheme “Tagging of wilt resistant gene(s) in castor (Ricinus communis L)” is arranged on Date 10/10/2018 at 10:00 am in the office of C. P. College of Agriculture, S. D. Agricultural University, Sardarkrushinagar, Dist. Banaskantha.